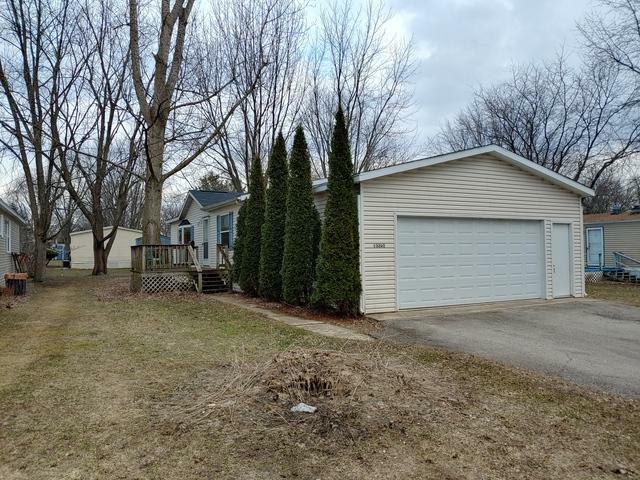 Double wide mobile home in sparkling clean condition is ready for you to move in! 1120 SF of living space. 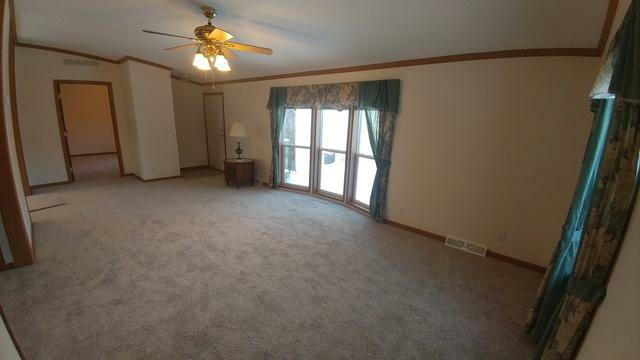 New carpet, fresh paint, and all appliances stay! Split bedroom floor plan. 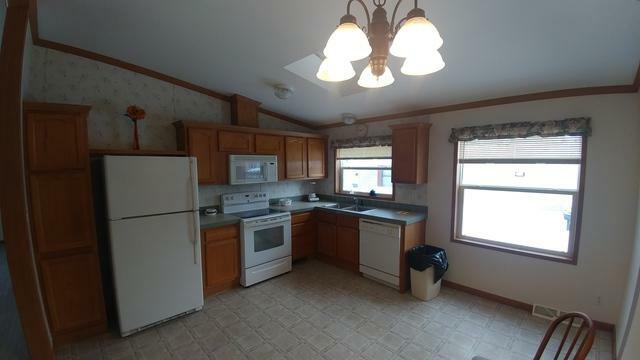 Kitchen conveniently located in the center of the home, has table space area and modern appliances. Vaulted ceilings create open and spacious perception throughout the home. Skylites located in kitchen and baths for extra natural light right where you need it! 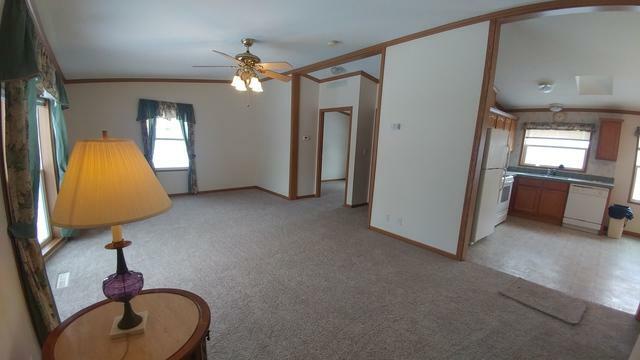 Nice sized master bedroom with large closet and (shared) master bath with step in shower. Main bath is located next to the second bedroom. Huge living room with lots of windows. Some window treatments included. Large 22x22 attached garage with ramp inside to back door of home. Ramp can be removed if desired. Front porch deck is 10x10. Great location and close to all conveniences for shopping, travel and recreation. Lot rent $400 per month. Wast removal included in lot rent. Park management approval required.